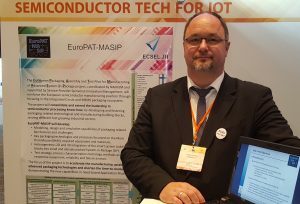 Project coordinator Steffen Kröhnert (NANIUM) was presenting EuroPAT-MASIP at Malta event in June. 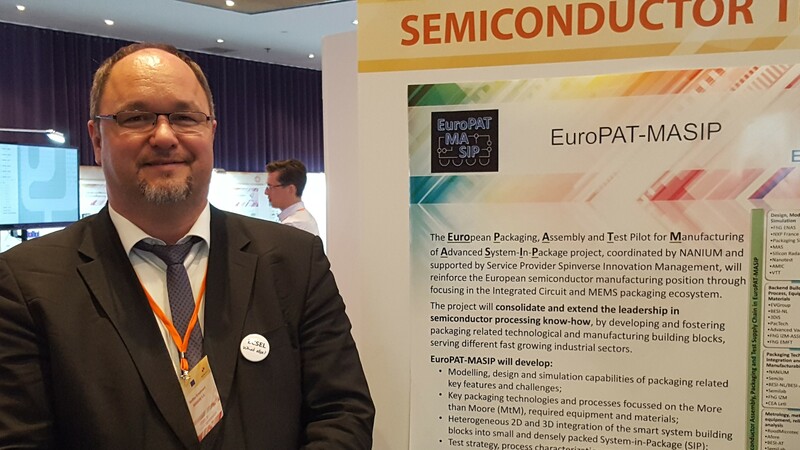 ECSEL Symposium gathered a wide range of European and global stakeholders in the Electronics Components and Systems field in Malta on 13/14 June 2017 in the the first Symposium, organised by the Joint Undertaking “Electronic Components and Systems for European Leadership” (ECSEL JU). The ECSEL Symposium provided the space for ECSEL funded projects to present their progress and results. The event run over two days: Day 1 focuses on ECSEL JU projects’ results and achievements in key areas (e.g. Smart Health, Production, and Mobility and Semiconductor technologies) while Day 2 is dedicated to a more strategic exchange featuring high-profile key note speeches and panel discussions. 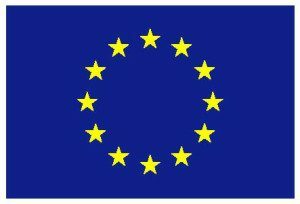 This event was organised under the auspices of the 2017 Maltese Presidency of the Council of the European Union.